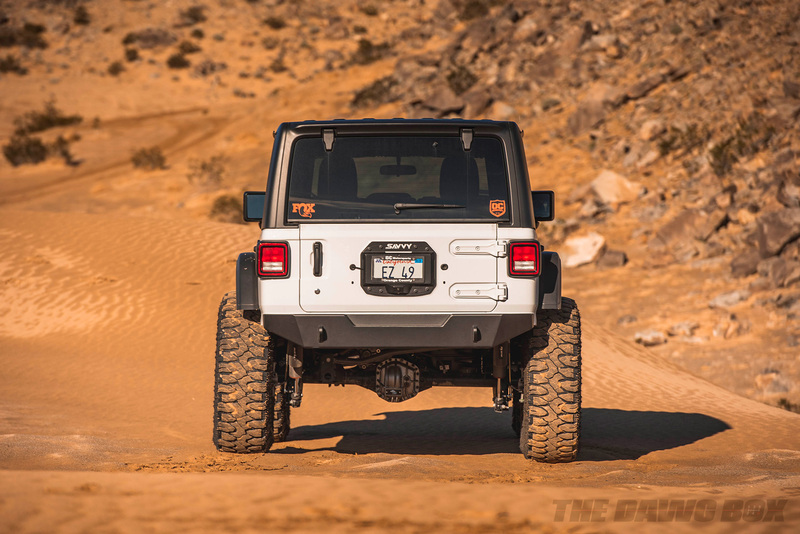 IS DAN FRESH’S JL WRANGLER THE PERFECT COMBINATION OF FORM AND FUNCTION? When the 2018 JL Wrangler debuted, the Jeep-world went into a frenzy. Vehicle sales were busy, just as many expected. 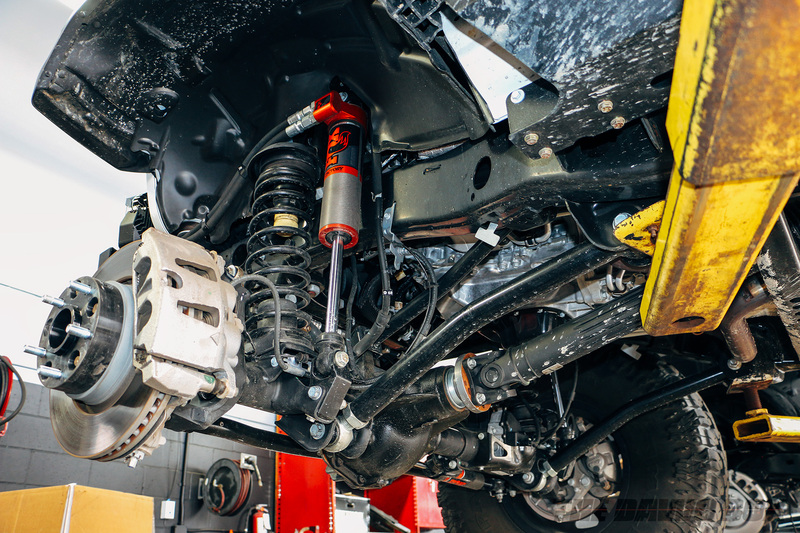 The aftermarket parts industry spared no time getting started with the design and production of new parts. 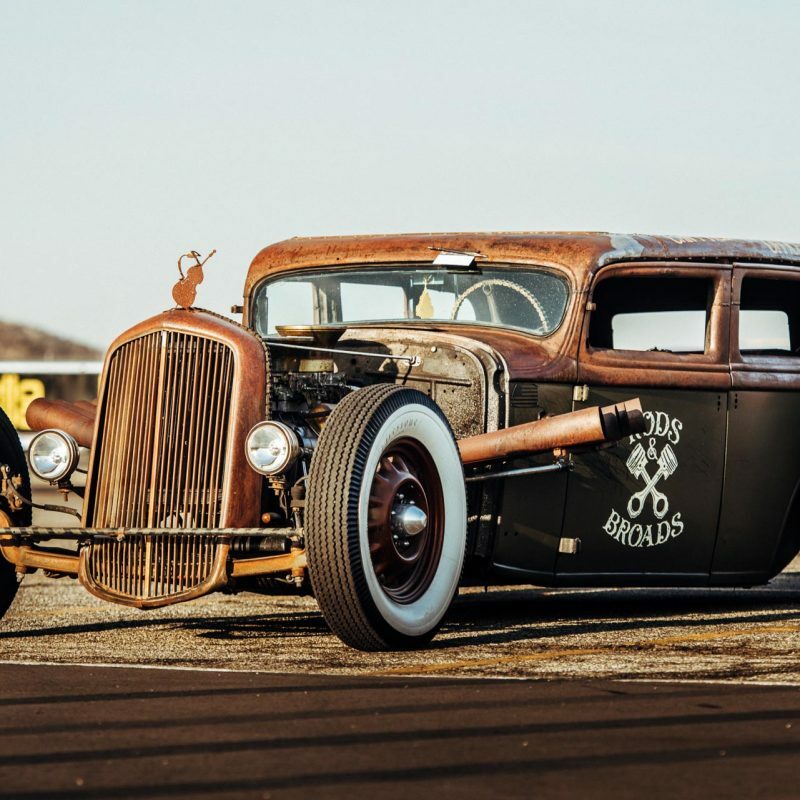 The new model is extremely capable and stylish, something Dan Fresh of OC Motorsports in Costa Mesa, California wanted to be on the forefront of. Dan and his crew at OC Motorsports transformed a stock 2018 JL Wrangler Unlimited Rubicon into an upscale culmination of form and function. 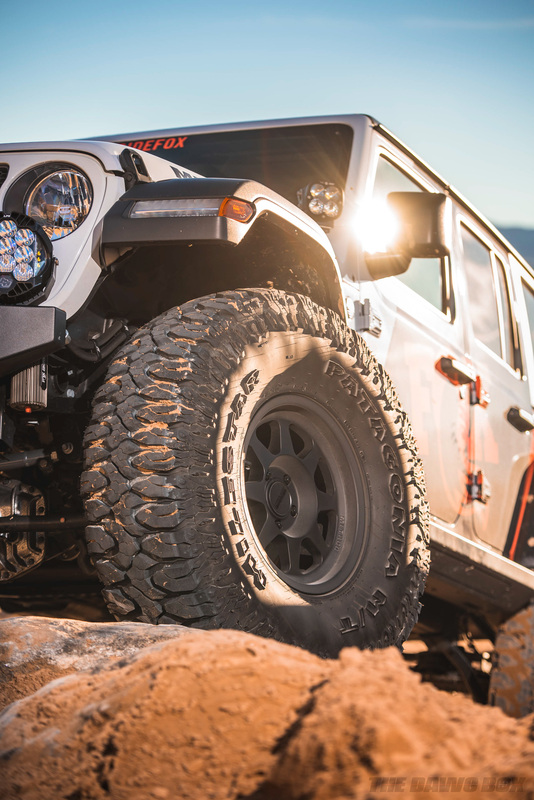 The team worked with many industry-leading aftermarket parts companies to design a Jeep that could hold its own on the 2018 SEMA Show floor and also be used as a flagship for OC Motorsports events, all while also set to be a dependable race support vehicle. Dan Fresh is a racer at heart. 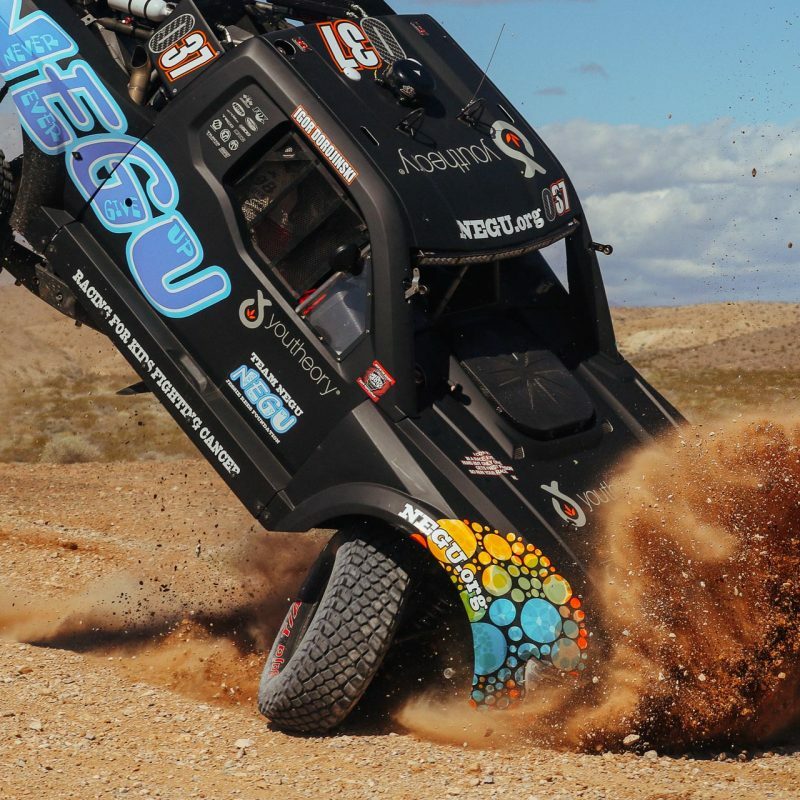 Over the years, he has been heavily involved and raced in trophy trucks, Jeepspeed, Ultra 4 and many more facets of the racing world. That meant straight from the start that this Jeep would be top shelf. 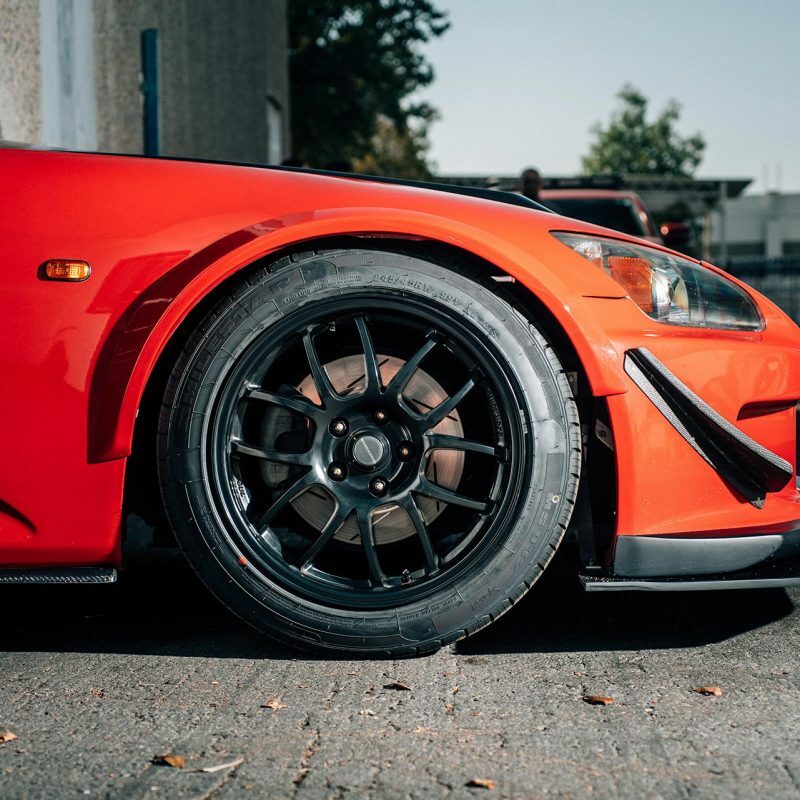 For any performance vehicle to work as it should, it needs to have great components. 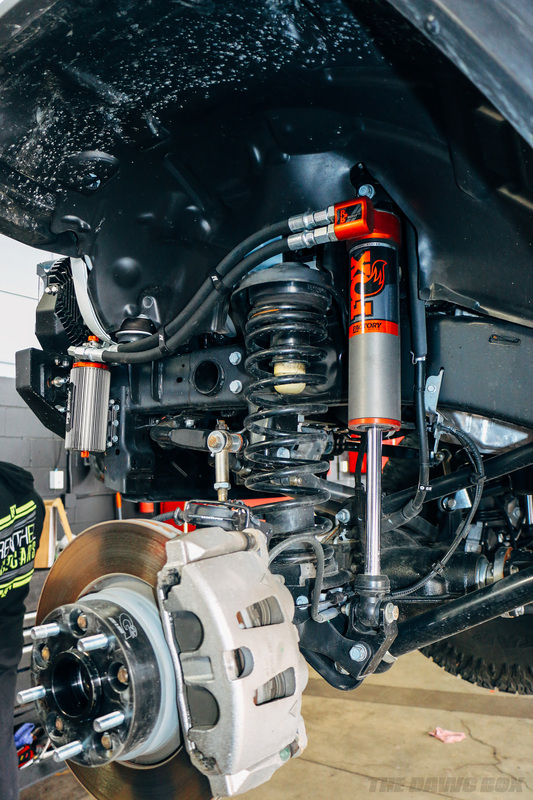 Dan and his team worked closely with Fox Factory to set the Jeep up with a full round of newly designed 3.0 Internal Bypass Shocks. 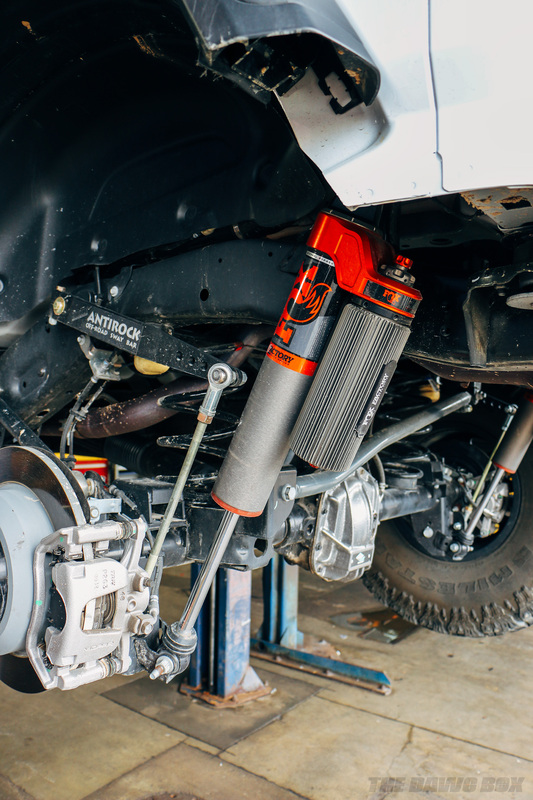 The massive shocks also feature finned aluminum recirculating reservoirs with DSC Adjusters for quick tuning. Shocks like those need to have some grunt supporting them. 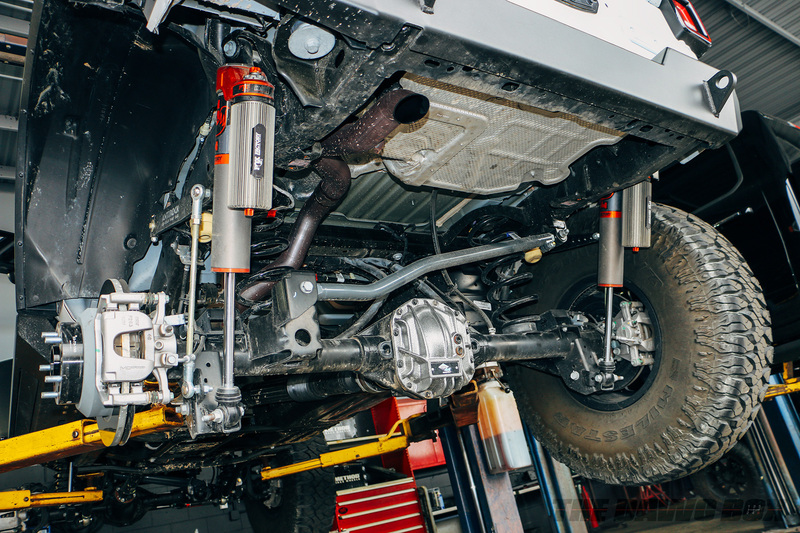 A Savvy Off Road 3.5-inch suspension lift was installed, including adjustable control arms along with a Currie Enterprises Antirock anti-sway bar in the rear. 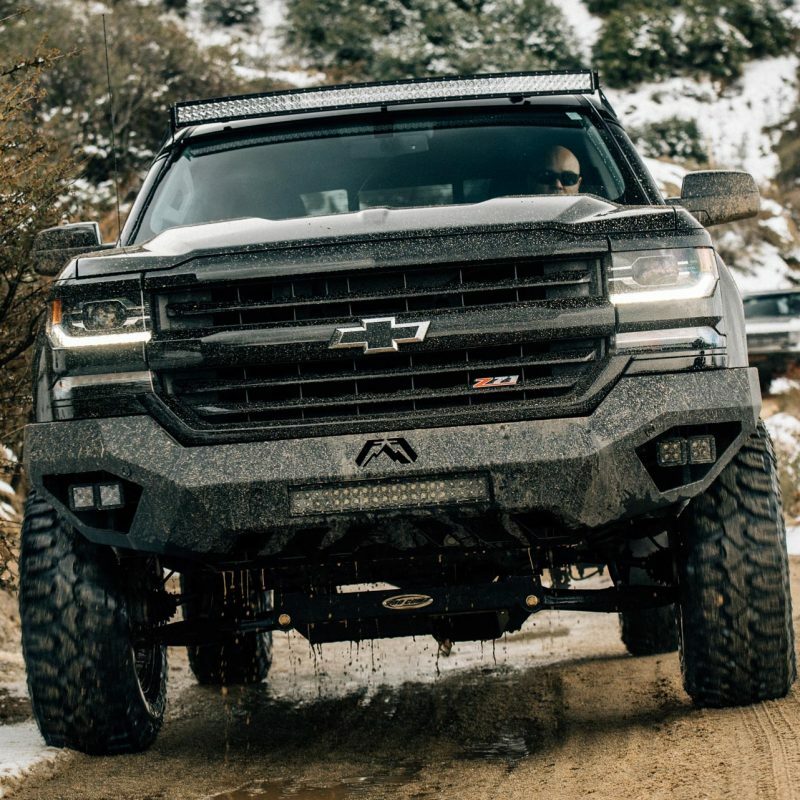 The new suspension gave clearance for a healthy set of 40-inch Milestar Patagonia M/Ts, wrapped around matte black 17-inch Method Trail Series 701 wheels. 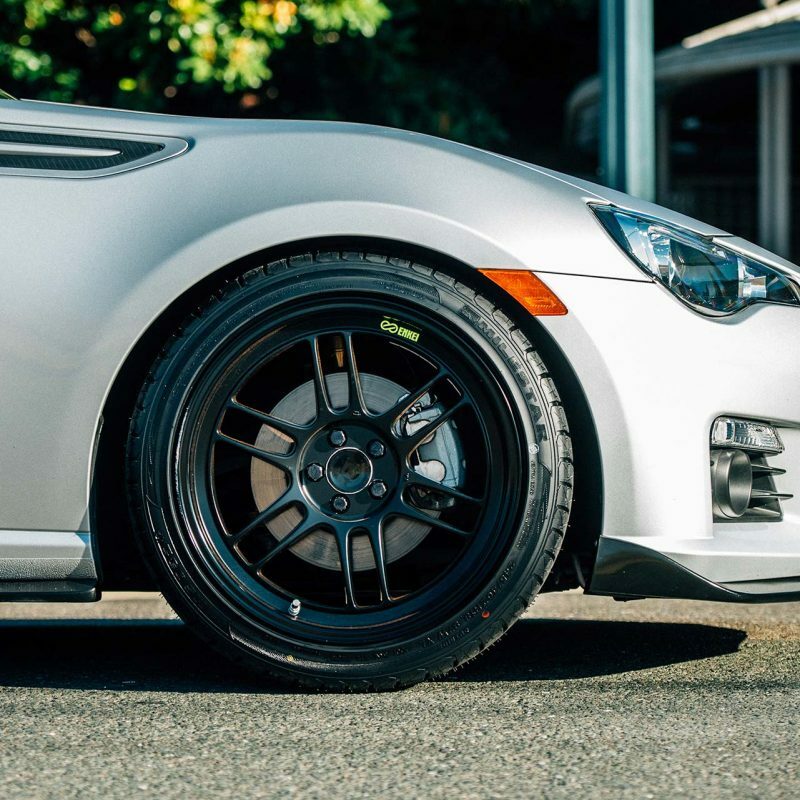 A combination that gives the vehicle both the ground clearance, stance, and raw gripping power a true performer demands. Because the Jeep often goes from off-road to the street and back again, an Innovative JK Products ARB Under Seat Mount with Air Up and Air Down Kit was installed. The Rubicon differentials were treated to a pair of Dana 44 AdvanTek covers to protect the gears and lockers. 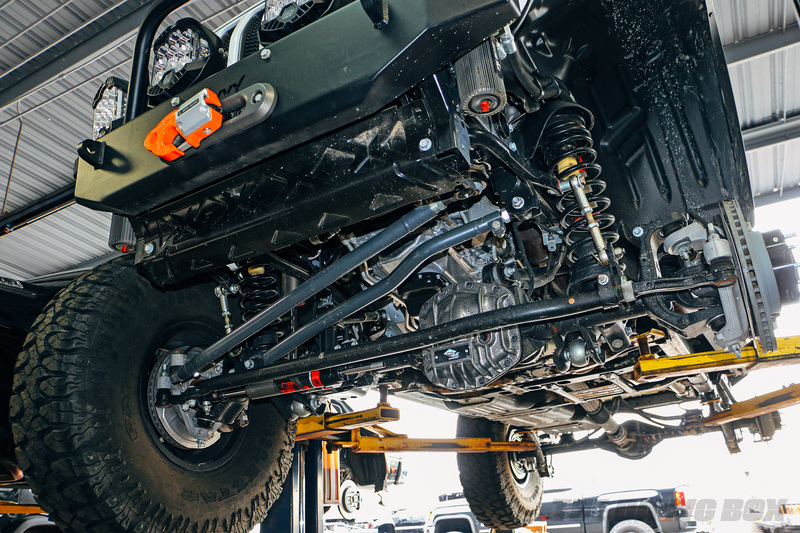 The Jeep’s steering linkage was swapped for a Synergy Heat Treated Chromoly Tie Rod and Drag Link kit with the support of a Fox Factory ATS steering stabilizer system. 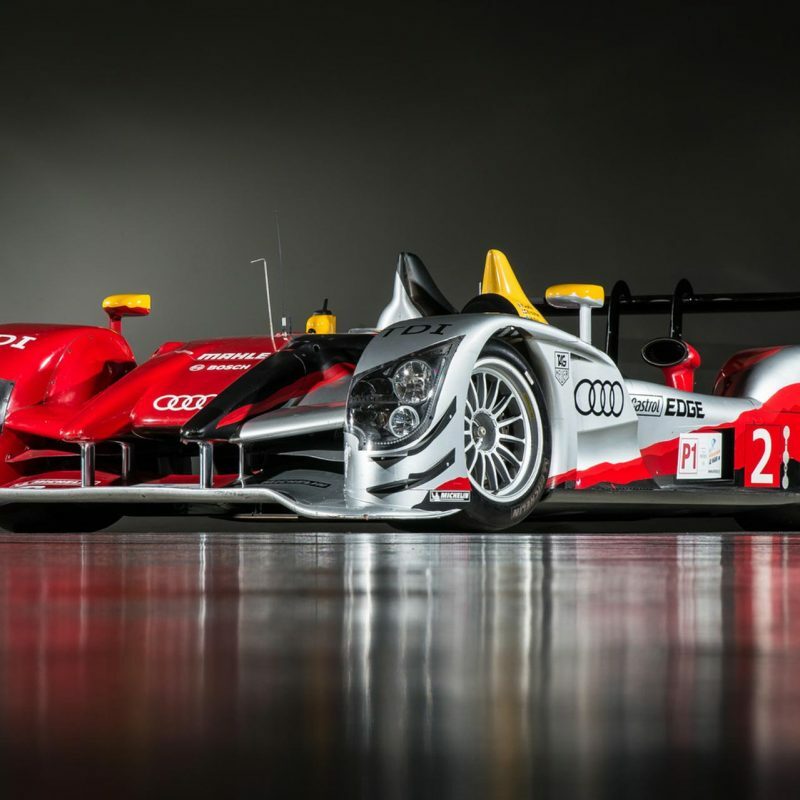 The power and torque are brought to the differentials via a pair of JE Reel 1350 CV Driveshafts. Attention was also put on the body of the vehicle. Protecting the rails are Rock Slide Engineering Step Sliders with automatic steps. A Savvy high clearance rear bumper was installed, along with a spare tire/camera delete kit. 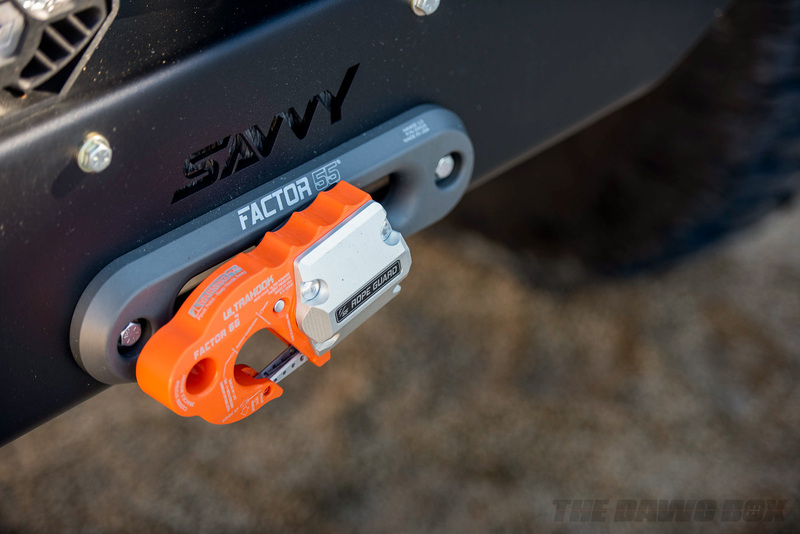 The front received a prototype Savvy Hidden Winch Bumper with Hoop for Dan to test out on the trails and race courses. The body wrap was installed by Versatile Wraps. 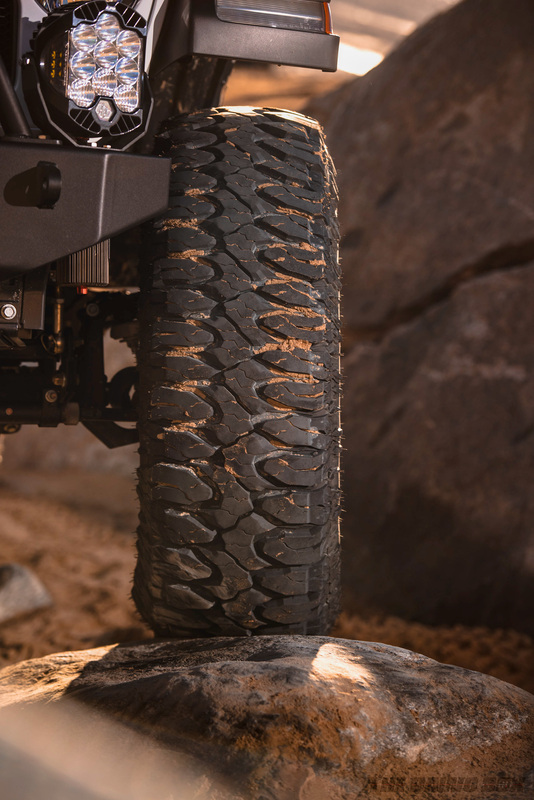 Desert racing and adventures require light when the sun goes down and when the unforgiving terrain doesn’t let up. To battle the darkness, a host of Baja Designs LP9 and XL80 LED lights were installed. The powertrain has been left mostly stock for now, save for a MagnaFlow Rock Crawler Stainless Exhaust System. 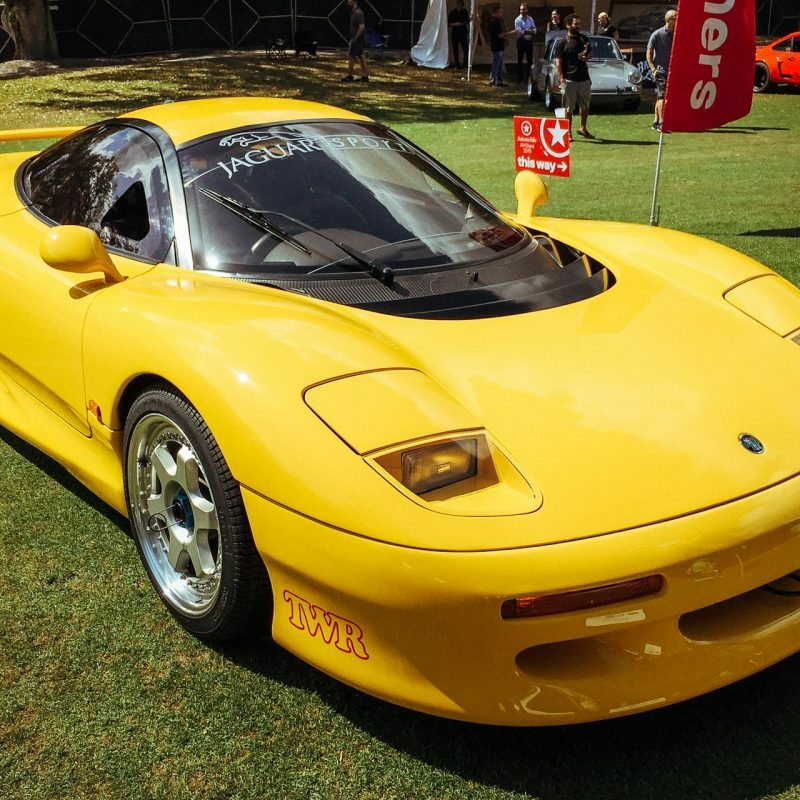 Though, with the immense capabilities of the OC Motorsports team, there shouldn’t be any surprise if a HEMI V8 finds its way under the hood in the future. The amount of work done to Dan’s JL is impressive, even more so in that it was all completed in a matter of two days. 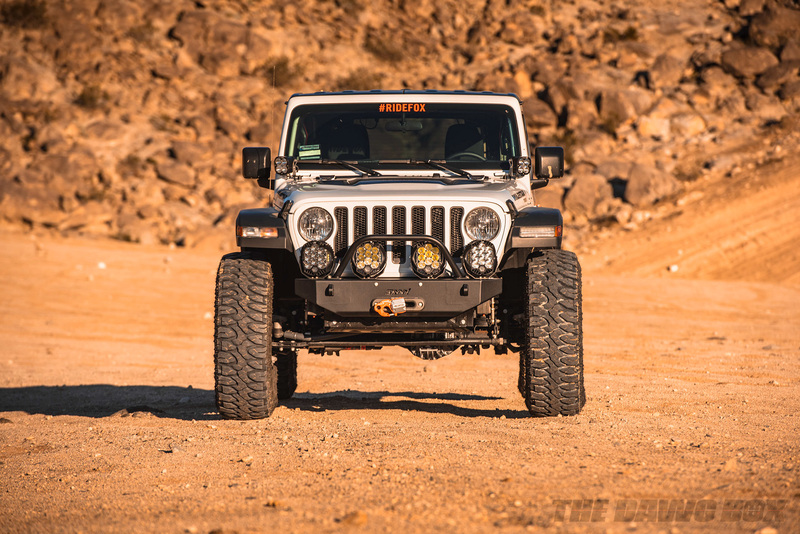 After proudly standing tall at the 2018 SEMA Show, the Jeep has been on numerous customer appreciation trail runs, desert race testing trips and regularly driven on the street for commuting duties. Soon, the Jeep will be working hard as support for King of the Hammers, Best In The Desert and SCORE International races. This likely won't be the end of the modifications for this Jeep, but it is a stellar start out of the gate.